(August 6, 2017) Rashad Aliyev, Chief Executive Officer of Azmont Investments has given the interview for MINA Business on August 6th 2017. 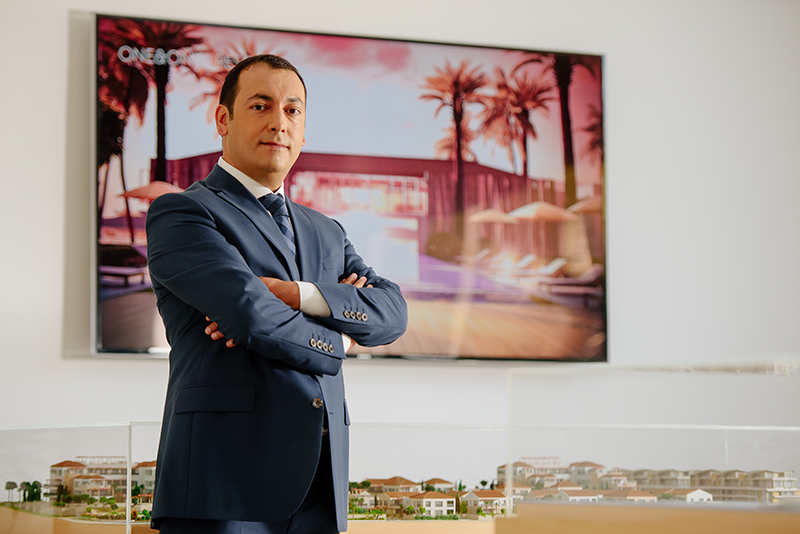 Podgorica, (MINA-BUSINESS) – Since entering the market in 2012 the company Azmont Investments has invested EUR 221 million in Portonovi resort, said its Chief Executive Officer Rashad Aliyev and added that projected investment by completion of the Project is around EUR 650 million. “To remind, Lease Agreement Commitments impose EUR 52,000,000.00 investment within 4 years and EUR 258,000,000 invested within 8 years”, said Mr. Aliyev in the interview to the Agency Mina Business. 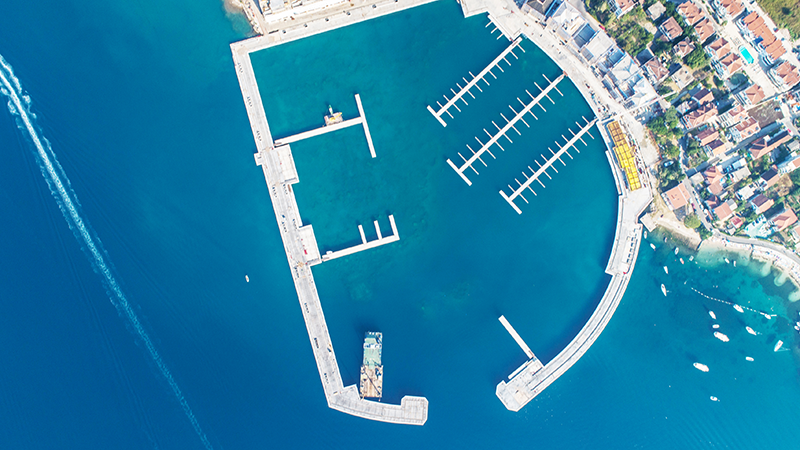 Commenting the activities on project realization, he added that the structural works on Portonovi Marina have been completed and as such Marina is getting more and more attention. “As part of the first phase of the project, together with Marina, structural works in Lower Village area together with Marina Apartments and Fisherman Wharf have been done. The first buildings in this area are getting the actual look as the roofing and façade work is in progress. Meanwhile, we continue to work on the foundation structure for the first One & Only in Europe “, said Mr. Aliyev. According to him, even at this stage, when Portonovi is the construction site, the project is already perceived as a new Montenegrin gem. “This is a huge responsibility for us, but also an impetus to make it as envisioned and ensure its growth and quality in the long run. We are looking into the opening next year and much more to come after that. Promotion of the Montenegro as destination and Portonovi as integral part of it is very important and thus we have started with these activities last year “, said Mr. Aliyev. He reminded that the company has emphasized several times that their ambition is to set new standards not only within Montenegro, but also across the entire Mediterranean. “This will make a change and a significant contribution to Montenegro as a country, while putting our resort on the world map. As such, it has its own dynamic and changes in order to meet the needs of the target group“, explained Mr. Aliyev. In that way, as he stated, will be attractive for people to come and discover it, while exploring the beauty of Montenegro. On question what the biggest problems the company faces during realization of Portonovi project are, Mr. Aliyev answered that they look on them as challenges and do their best to overcome or to contribute to solution. “One of the main challenges is definitely infrastructure in general and in this field there are so many things that should be improved if we are moving toward high-end tourism. We are very happy to see for example more and more flights from and to Montenegro. This is of course only one puzzle and much more should be done on the field when talking about the roads and connection”, Mr. Aliyev considers. Another challenge they face in the company are human resources that can support not only Portonovi resort, but other key players in hospitality industry in Montenegro. 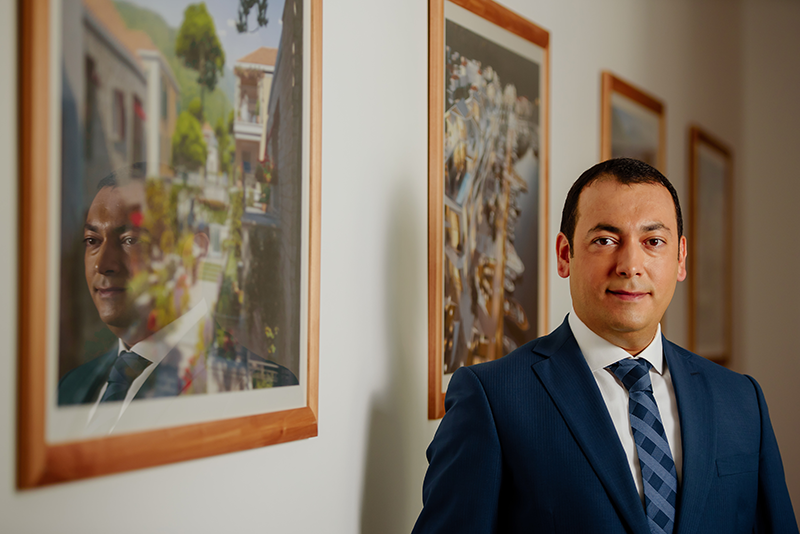 “In order to contribute to the development of human resources, as a company we have supported establishment of the International Hospitality Studies in 2016 – it was as a joint effort of Azmont Investments, UDG Montenegro and Vatel, first Worldwide Business School Group in Hospitality and Tourism Management”, said Mr. Aliyev. On top of the financial support of EUR 250,000.00 for buying franchise from VATEL that will serve to the International Hospitality Studies operations on UDG in next 11 years, company has committed itself to Azmont Investments Scholarship Program. This Scholarship Program is primarily designed to support students from Boka Bay region, with a special focus on Herceg Novi. 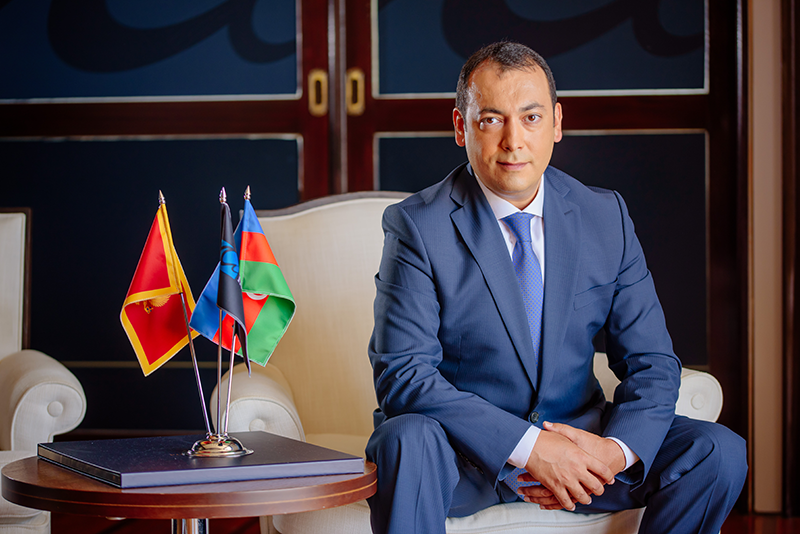 “In the last two years the company Azmont Investments has supported 9 students with EUR 60,000 and thus contributing to preparation of the next generation to build their own future and to prepare them for a rewarding career in hospitality, tourism and hotel management”, added Mr. Aliyev. He considers that there should be more investment not only by developers and investors but also by the Government. “This is especially important in the marketing and promotion field where awareness and perception of Montenegro as luxury tourism destination should be created. Nonetheless, we need to acknowledge the work Montenegrin Government has done - since its 2006 when Montenegro has regained independence, the whole country has been busy working on building the economy, focusing on tourism and real estate developments which highlight the beautiful coastline of the Adriatic Sea”, said Mr. Aliyev. Commenting the announcements that the new partners will join Portonovi project, Mr. Aliyev stated that Azmont Investments is the main investor of the Portonovi project and gathers team of reputable partners around it. “We really believe that this is the only right way to have successful Resort to position in the Region and further. We are in final phase of confirming the new partnership with an international company that shares our vision and will commit to operating Marina in Portonovi in the most effective way while setting new standards our industry “, said Mr. Aliyev. On question to comment speculations on possible cession of Portonovi project to another company, Mr. Aliyev said that they have committed themselves to Portonovi project and they enjoy being here. “At this stage, we do not see it as an option. Our team is working diligently to expand new businesses and our footprint in Montenegro, as a rising star among other destinations in Europe. It is 5 years that we are here and we believe that we did a lot. As a company, we are well known as the investor of Portonovi”, Mr. Aliyev explained. Still he added that being in Montenegro means much more for them. “We are here to support and contribute to the community as a responsible corporate citizen as well. Also, I would also remind that as of 2016 we have Nova Banka AD Podgorica as part our portfolio”, concluded Mr. Aliyev.